May | 2013 | macingosh. photography. At the Stachus (Karlsplatz), Munich. Shot with the Olympus Pen E-P2. No editing. Out of the bullet train window. Somewhere in between Augsburg and Munich. The old Kokerei (coking plant), part of the world cultural heritage of Zeche Zollverein, Essen, Ruhrarea. Subway. Stairway. Blue, red and yellow. And granite. Another one in Bavarian colours, blue and white. 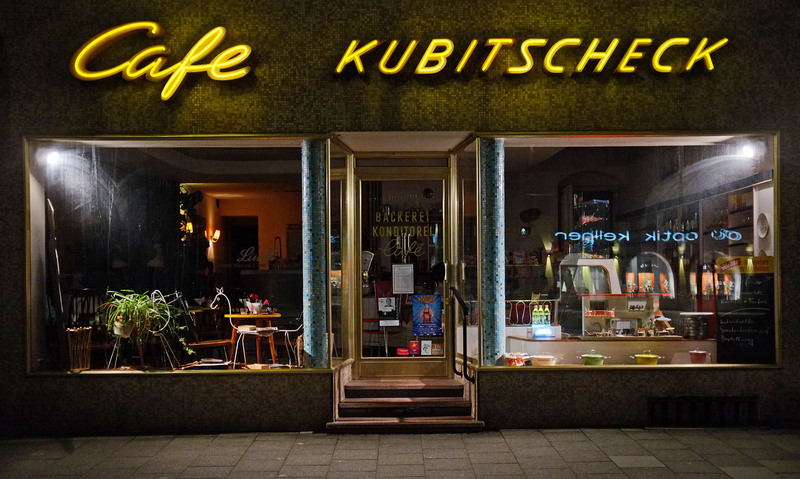 The wonderful Cafe Kubitscheck on the Waldfriedhofstrasse. Home of legendary tart- and cake creating artistry.